Can I Refinance My Mortgage if I Have Bad Credit? If you’re hoping to refinance your mortgage, but are worried about having bad credit, there’s good news and bad news. The good news is that you can get a new home loan, and bad credit alone won’t stop you from refinancing your existing house note. The bad news is that a poor credit rating will make it tougher, more expensive and more time-consuming for a mortgage lender to approve your application. Nevertheless, here are four steps you can take to get a mortgage refinance done – even if you have less than perfect credit. Refinancing your mortgage offers many benefits. A refinance can let you take advantage of low interest rates, can lower your monthly house payment, or can simply get you into a shorter loan, like a 15-year mortgage, so you pay off your house a whole lot faster. Although all mortgage lenders will pull your credit when you apply for a refinance, rest assured that bankers aren’t using your credit score alone to determine whether to accept or reject your application. Three other important factors are taken into consideration: the amount of equity you have in the home, your income, and your overall financial standing. Using the following four strategies can help you get a “yes” the next time you apply for a mortgage refinance. Before you ever call a mortgage lender, or get online with a bank, you should know how much equity – if any – is in your home. What does your equity position have to do with your refinancing? A whole lot. Simply put: the more equity you have in your house, the easier it will be to secure a refinance. The less equity you have, the harder it will be to get your refinance done. Also, with a greater amount of equity, you’ll have more loan options and far more lenders available to you than someone with little to no equity. To find out how much equity is in your home, ask a local real estate agent come by and do a comparative market analysis of your house. Agents don’t charge you anything for this analysis, which some realtors call a “broker’s opinion” or a “broker’s price opinion.” They’re giving you a written, but informal, opinion of how much they think your home is worth if you listed it for sale. It’s not an appraisal, like a bank will order. But the agent’s market analysis should produce figures that are pretty close to an appraiser’s. To come up with a number, the agent will pull “comps” or recent comparables sales of homes in your neighborhood – just like an appraiser. And like an appraiser, the realtor looks at the style, square footage, amenities, and condition of your home, along with other factors such as the number of bedrooms and bathrooms you have. They then compare all those factors against other similar homes (i.e. if you have a 4-bedroom, 2 bathroom colonial style home, you’re typically compared to other 4-bedroom, 2 bathroom colonials). Take your existing mortgage balance and divide it by the current value of your house. (For example, if you now owe $200,000 on your mortgage and your house is worth $250,000, then $200,000/$250,000 = .8). Use the number 1.0 and subtract the number above from it (In this case, use 1.0 minus .8 = .2, so you have 20% equity in your home). If the number isn’t what you’d hoped for, don’t despair. Even with little to no equity, a refinance is not impossible. Read on to find out why. All home lenders have guidelines that determine when they will loan money – and when they won’t issue a mortgage – based on the applicant’s income. So having relatively few debts, and a good debt-to-income ratio, will help your refinance application get more speedily approved. Generally, mortgage lenders want your “back-end” debt-to-income ratio to be in the 38% to 46% range. This means that the most conservative lenders don’t want your housing costs – plus all your other debts, like credit cards, car notes and student loans – to be more than 38% of your gross income. But fortunately, the vast majority of lenders aren’t that strict. 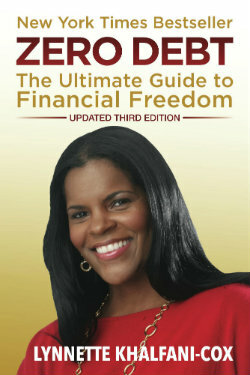 Most have guidelines that allow your debt-to-income, or DTI, to stretch anywhere from 42% to 46%. Also, a few more liberal lenders will even go as high as a 48% or 50% total debt-to-income ratio. When you hit higher DTI limits, however, lenders may charge you a higher interest rate for those loans. They’ll also probably require more documentation from you, and they may be a bit more picky about making sure other aspects of your application are pretty solid. 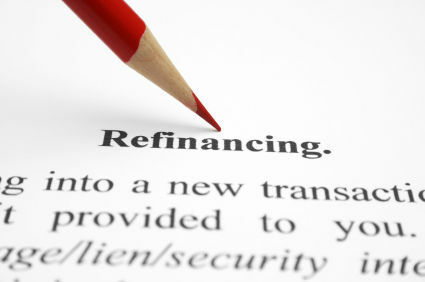 To get approved for a refinance, you’ll also have to show a lender that you have sufficient funds to close on the loan. Closing costs can run about 1% of your loan amount. So take a look at how much cash you have in the bank and be certain that it’s enough to pay for all settlement or closing costs, such as lawyer’s fees, title insurance, appraisals and so on. Lenders also may ask for you to show cash “reserves.” This means you can’t simply tap out or liquidate all your cash on hand. If your application is weak elsewhere, they may want you to have anywhere from one to three months’ worth of mortgage payments set aside – even after you pay your closing costs. Finally, lenders are sticklers these days about where you get the money for closing. They’ll want to see one to three months’ worth of bank statements to make sure you’re using your own funds – not a loan from someone else. Furthermore, they’ll ask you to explain any large deposits that aren’t associated with your normal paycheck or your typical sources of income. So a word to the wise: apply for your mortgage refinancing when you look very “clean” on paper, when you’ve paid down some debts, and your bank statements for the past three months are in very good shape to meet the requirements mentioned above. Now that you’ve done the hard work above, you’re ready for the final step: picking your best loan option. You need to know what kind of loan is best for your situation, since the type of mortgage you want will play a big role in how readily you are approved for a refinancing. Broadly speaking, there are two general categories of mortgage loans: conventional loans and government-backed loans. Conventional loans have specific lender qualifications and generally require you to have 20% equity in your home for a purchase or refinance. Otherwise, you’ll have to pay PMI, or Private Mortgage Insurance, making your loan more costly. Also, if you don’t have 20% equity in your home, you may be limited in the types of loans a lender will offer. What’s more, the interest rates for which you’ll qualify will be a notch or two higher than the rock-bottom rates offered to people with 20% or more equity in their homes. But government loans – such as FHA and VA mortgages, which are insured by the Department of Housing and Urban Development – can offer a way to get around the problem of having little or no equity. While these loans require more paperwork and involve higher loans costs, they nonetheless offer an avenue for getting a refinance successfully done. With the popular FHA loan, for instance, you can have as little as 3.5% equity in your home and still get approved. FHA loans are also viable options for people with bad credit, since a low credit score doesn’t ruin your eligibility. The downside is that FHA loans also require insurance, in the form of Mortgage Insurance Premiums (MIP). In fact, starting April 1, 2013, the insurance premiums rise for all FHA loans. As of that date, the minimum mortgage insurance premium will be .70% of a loan, and the maximum annual MIP will be 1.55% of the loan amount. FHA borrowers pay this mortgage insurance in monthly installments. Additionally, effective June 3, 2013, all FHA borrowers will have to pay an Upfront Mortgage Insurance Premium as well. This upfront payment is a one-time fee that’s paid at closing. As of this writing, the FHA’s Upfront Mortgage Insurance Premium is 1.75% of the loan amount. Thus, if you get a $300,000 FHA mortgage, you’ll have to pay an upfront mortgage insurance premium of $5,250, plus all your other closing costs and the ongoing annual mortgage insurance premium mentioned above. So as you can see, even if you have bad credit or only a modest amount of equity in your house, it is still possible to refinance a mortgage in today’s marketplace. But the reality is: it’s more difficult and more expensive to get a refinance done when you’re not considered a “prime” borrower with great credit and a lot of equity in your home. Finally, for those of you with “negative” equity — meaning you owe more on your home than the property is worth — there are refinancing opportunities for you as well. The FHA Short Refinance Program is a good option when you don’t have any equity in your house. It even has more flexible underwriting guidelines; your debt-to-income ratio can be as high as 55%. But you have to meet certain conditions to qualify for a FHA short refi. The home must be your primary residence; you have to be current on your payments; and your existing mortgage can’t be owned or guaranteed by Fannie Mae, Freddie Mac, FHA, VA or the USDA.